For me this day was just a stopover on my way to Luang Prabang first but than it became a complete different day. Something I´d never expected happened. At 8.30 am I took the bus from Luang Namtha to Oudomxay. 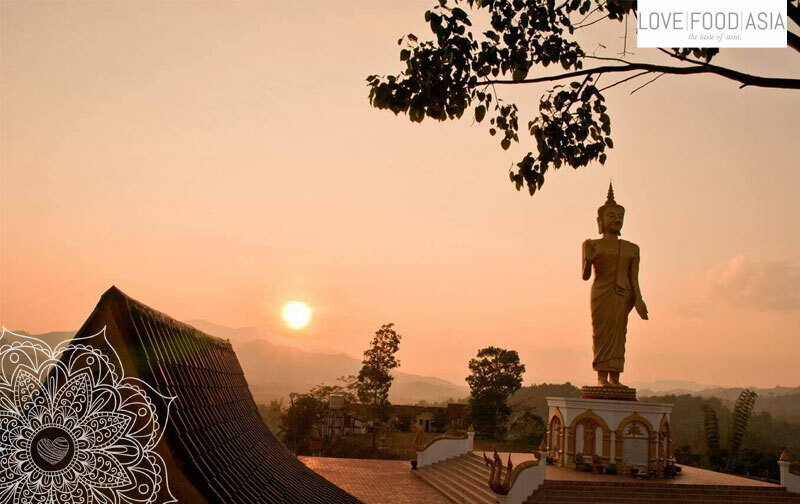 This city is located in the north of Laos on the half way to Luang Prabang. I wasn´t in the mood for a 9-10 hours bus drive so I decided to stay here for one night. My original plan was to visit the big caves 40 km away from Oudomxay and travel to Luang Prabang the next day. Those caves have a length of 14 km in total and you can visit them with a guide but a trip to the cave costs 1,3 million Kip so I skipped my plan. I found a cheap guesthouse in the center of Oudomxay and went out to visit the stupa. I walked up and met a monk. We had – like always here in Asia – a good conversation while I´ve visited the stupa. From there I went to walk over one of the 3 markets but I couldn´t find one. While I searched for one of the markets I followed some music and I thought that it´s from one of the markets. After a short walk in a small street I was in the middle of an Laotian wedding. The wedding community invited me to stay and I had no chance to say no. So I spent the rest of my day at the wedding. They treated me as one of them. As a friend. I had good food and lots of Lao Beer. The guys tried to make me flirt with the single ladies. So I had a great day with food, girls and a lot of beer. Now I´m laying in my bed (alone) and typing this words. I think I have to correct the text tomorrow. What else can I say now? Oh yes – Go and visit a Laotian wedding once when there´s some space in your calendar.